Once again, we have teamed up with Toys For Tots to help collect toys for less fortunate children. 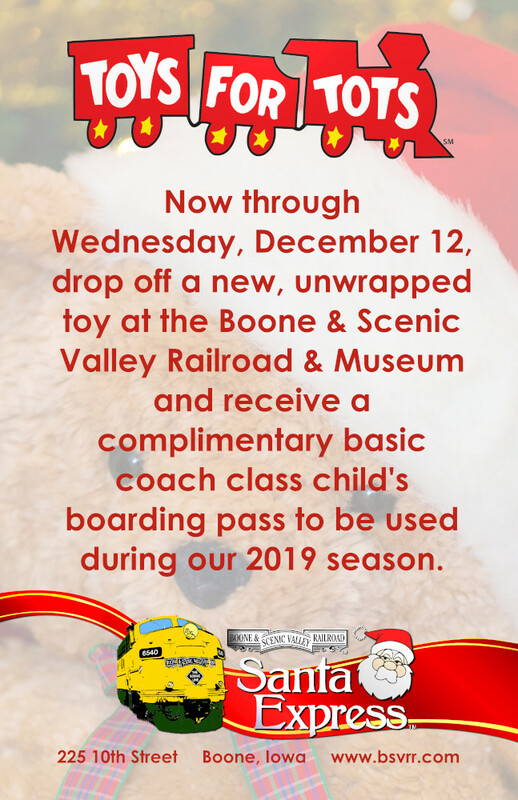 Through December 12, you can help by dropping off a new, unwrapped toy during our Santa Express trains at the Boone & Scenic Valley Railroad & Museum. You will receive a complimentary basic coach class child’s boarding pass to be used on any of our regularly-scheduled Fraser Excursion Trains during the 2019 season. Thank you!